WPI Seaport is a 6,400-square-foot facility that accommodates tech suites, meeting areas, open-concept spaces, and working spaces. 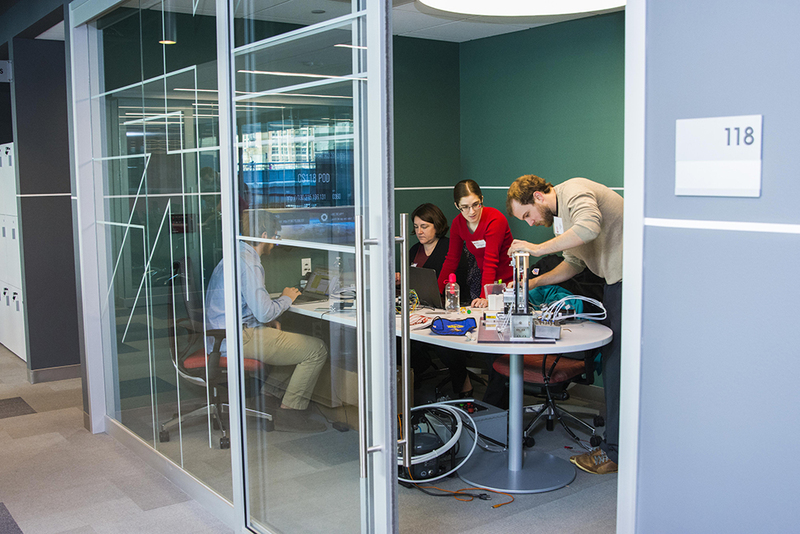 Opened in January 2018, WPI Seaport’s location in Boston’s Innovation District offers convenient space for students, faculty, staff, and alumni to connect with industry, academic, and government partners and agencies. Designed with collaboration and innovation in mind, the ideas sparked here will incorporate WPI’s project-based learning model, research being done on campus, and community projects near the Seaport to develop innovations that lead to impact across the Commonwealth. For information about hosting events at the Seaport location, please contact us at wpiseaport@wpi.edu. Career Development Center (CDC) Employer Relations team members are available to meet onsite at WPI Seaport this spring/summer to discuss recruiting services and partnership opportunities. Please email cdc@wpi.edu if you would like to schedule a meeting with a CDC team member at Seaport to discuss recruiting services and partnership opportunities.